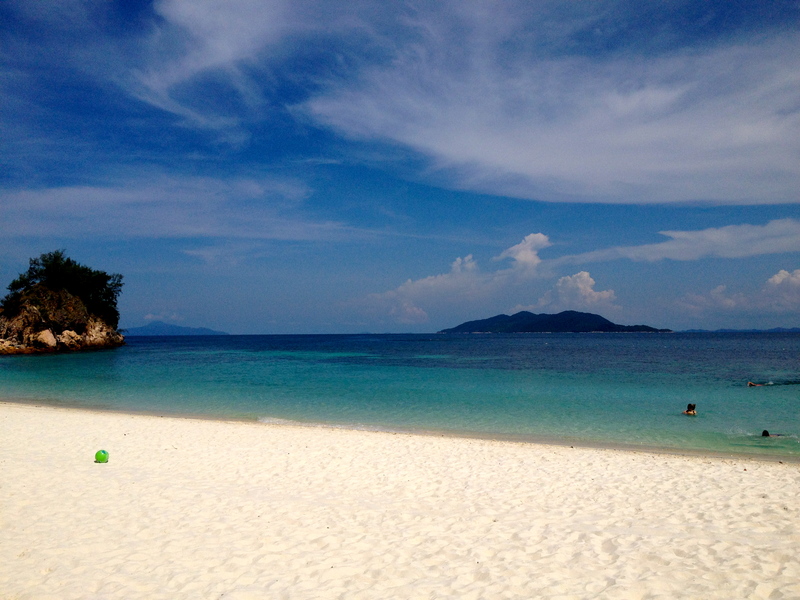 Rawa Island, Malaysia | no shoes, no shirt, no problems. Let me first begin saying the entire weekend we were here, I never once wore shoes. It is a place where all you need is your swimsuit and a good book. The best part of Rawa, for me, is that it is a place where you are absolutely unconnected. There are no televisions, computers or phones. You come to Rawa to simply relax, and surprisingly, eat delicious food. The journey from Singapore begins with a bus ride into Malaysia, which is an experience in and of itself. Once you make it into Malaysia, you continue your bus ride for about another 90 minutes. You enter Mersing, which is a dump of a port, and jump onto a speedboat. The 30 minute speedboat ride is bumpy and you get wet, but it’s all part of the fun. Looking around at all the little islands, you wonder which one is Rawa. Finally approaching, you see it. 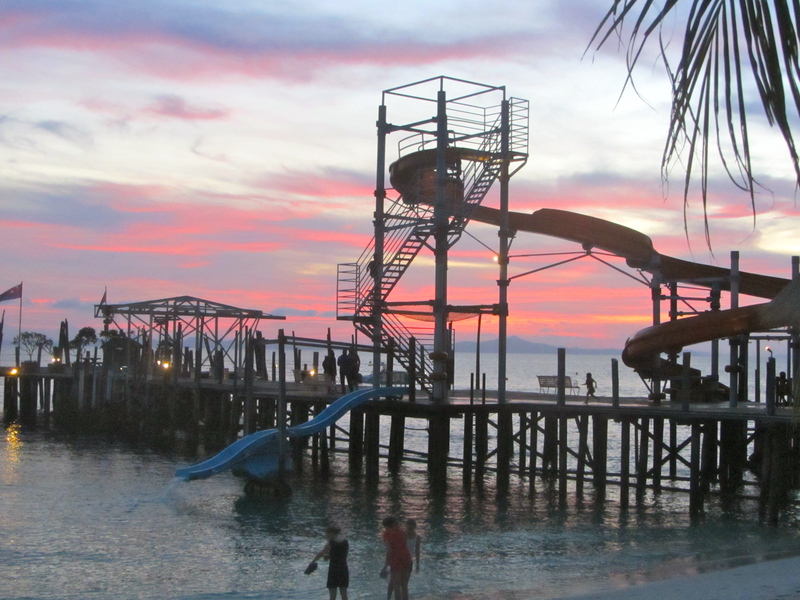 A giant water slide built up from the jetty. Remember, you are never too old to go down the slide. With crystal blue waters and white powder sand, you will find yourself loving doing absolutely nothing but looking out into the ocean. Take the hike to the top of the island, a quick 15 minute walk, to take it the views of all the other islands. Grab the kayak and circle the entire island, which takes only 45 minutes. It’s a great way to find some of the best snorkeling spots. You don’t need to venture too far for good snorkeling. Just off the beach you will find bright colored fish and reefs. Unfortunately most of the reefs have been killed or are covered in algae, but you can still see what’s left. When you think about a deserted island, this is exactly what you imagine. It is a true tropical island, complete with fresh coconut trees and hammocks. This will be a place we will always come back to. 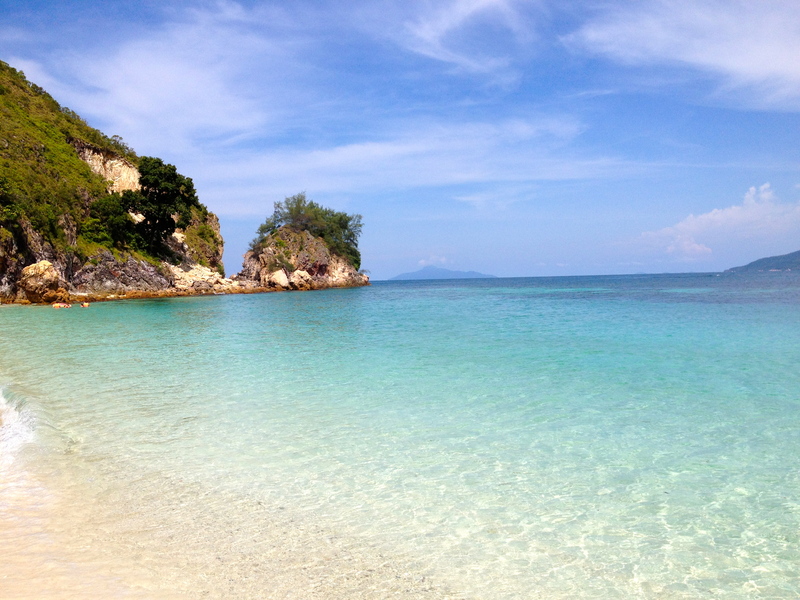 Alang’s Rawa, Rawa Island | $ There are only 2 resorts on the whole island. Both times I have been to Rawa we have stayed in the same little A-frame bungalow at Alang’s Resort. The prices are absolutely affordable and with it, you are fed the entire weekend. And trust me, the food is good. An extensive menu and family style meals will not leave you hungry. My favorite is always the grilled garlic prawns. The accommodation is very basic. No AC, no television and there may be a few ants here and there, but not enough to gross you out. Trust me when I tell you, if I can stay here and love it, you can too. 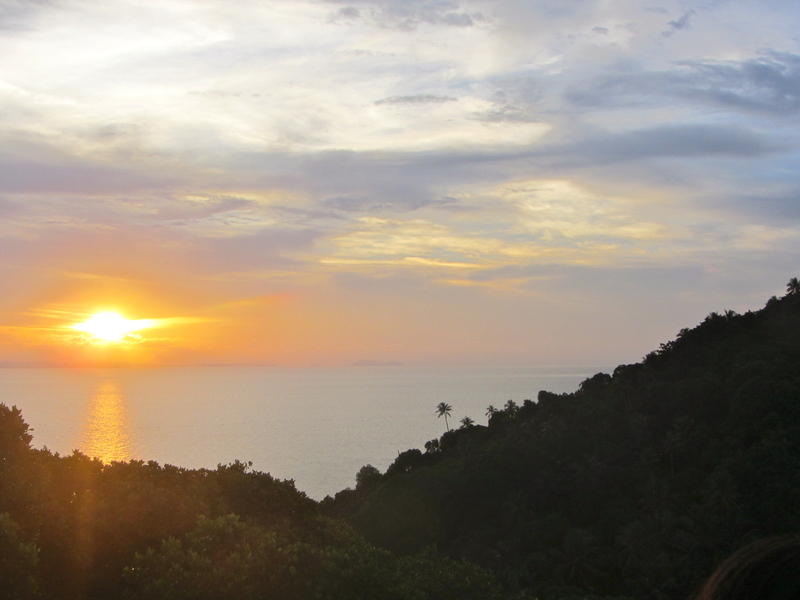 If you want a more luxurious stay, walk up the beach and you will find the Rawa Island Resort. I have not stayed here, and probably won’t. Alang’s never disappoints, and I always find the beach, on this side, nicer and less congested with kids. It’s actually quieter. We have always chosen to stay in the A-frame chalet which is by far the most romantic and peaceful of all the bungalows.